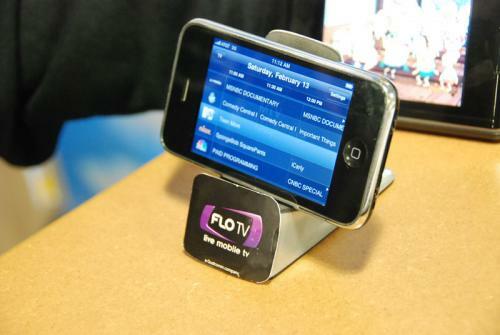 FloTV is a new solution for wireless TV service across the U.S. It provides 18 different TV-channels with broad coverage. 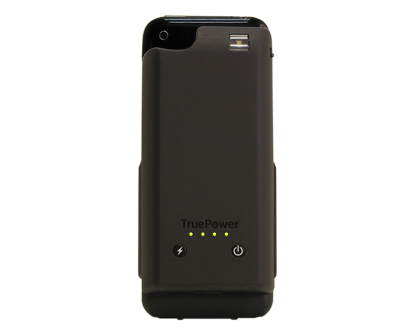 To use the FloTV you’ll need to purchase a special battery pack (Juice Pack TV) with integrated FloTV chips and download the app for free from the App Store. 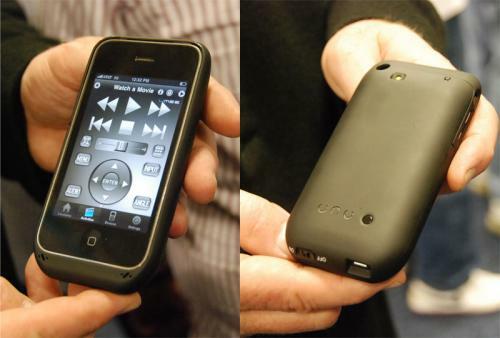 The device and app will interface with each other via Wi-Fi. 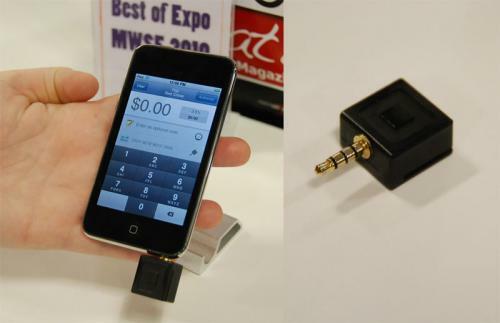 Square Up presented their new credit card processing solution for the Apple iPhone. 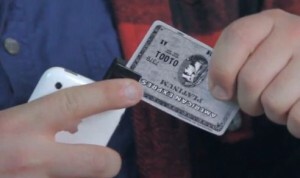 All you need is to buy their app for $1 from the App Store and they’ll send you a small dongle that swipes credit cards. Square Up takes a 2.9% cut of all sales so there is no need in individual merchant account. At the moment the service in beta testing period but it should arrive later this year. 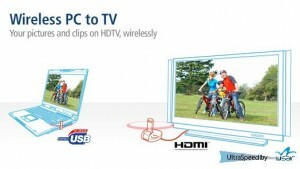 What you see on the picture below is a MacBook screen shown on a HDTV wirelessly. 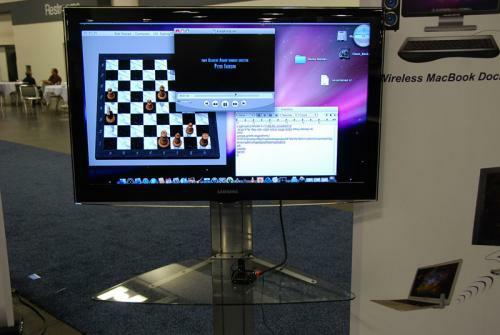 This was made possible with Wisair’s wireless USB DisplayDock Set. 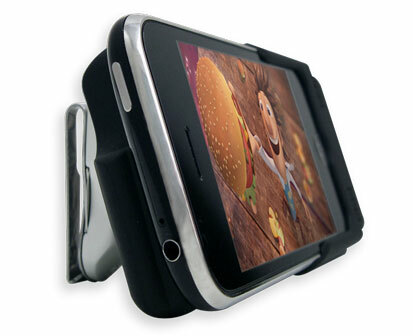 Video and audio can be transmitted up to 1440x1050 screen resolution. The wireless base station that connects to your TV-set has HDMI, VGA and 3.5 mm audio jack. 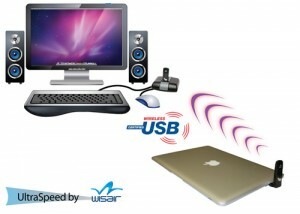 The Mac version doesn’t have drivers yet, but it is announced to be here in the end of March.